Spy nocturnal critters at the every-so-often Living Desert to-do. 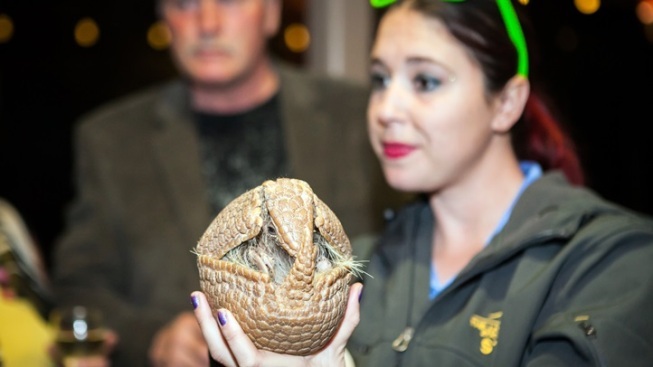 It's a special way to see a desert animal park after the sun sets: It's Park After Dark, at The Living Desert in Palm Desert. PARK AFTER DARK: If you're guessing, by the name, that this happening is all about enjoying The Living Desert after the sun packs up its last daily rays, you'd be correct. And you'd be correct again if you surmised that seeing a couple of animals, up close, is part of the end-of-the-week fun. A "guided walk through the zoo" and s'mores-savoring enjoyment are also on the Friday-night plans, in addition to eyeing beautiful tail-boasting, claw-rocking residents from a near distance. Park After Dark isn't every Friday night, do note, but if you're planning a desert getaway, and you dig animals, and you'll be there over a weekend, you might check if the stars will be aligned for your visit. After all, how better to start the weekend than by communing with a beautiful desert beastie or two?